Dancing Groot is back! 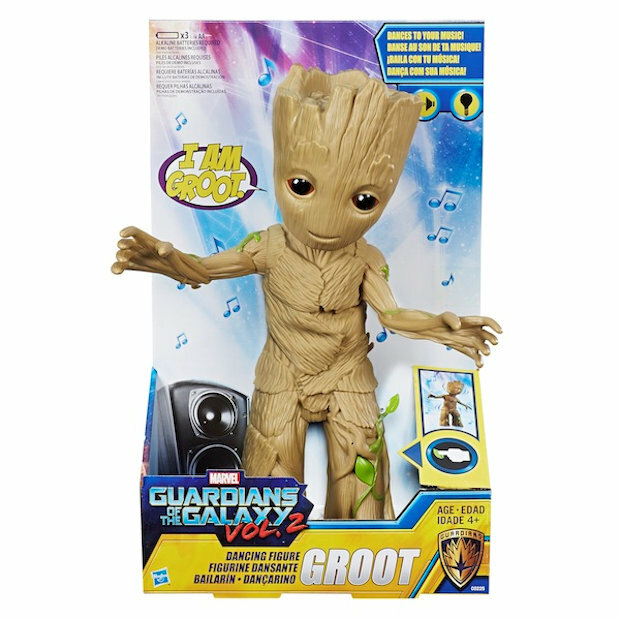 Hasbro has unveiled a new figure, which I like to call Dancing Groot 2: Electric Boogaloo. 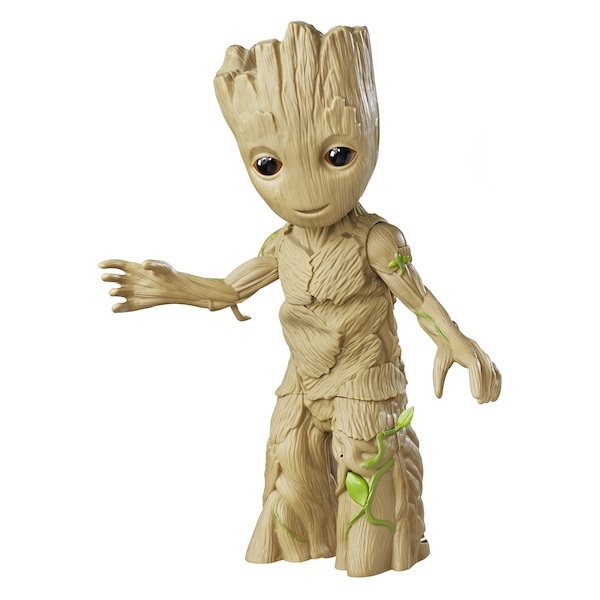 This sound-detecting and limb-shaking Groot collectible stands 11.5-inches tall. It lights up when it plays and dances to a music clip from the Guardians of the Galaxy Vol. 2 soundtrack, which is sure to be awesome. You can use your own tunes too, and when the music is playing, Groot’s eyes light up and his roots move to the beat. 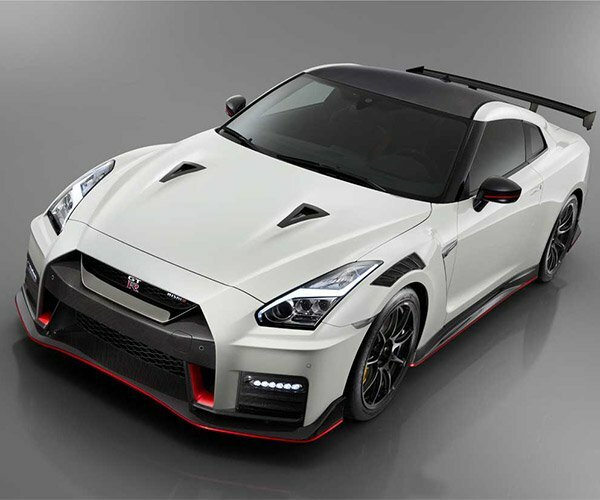 He’ll cost you $34.99(USD) and will be available in the Spring of 2017. Now you and Groot can dance the night away! Now is the time on Sprockets when we dance!